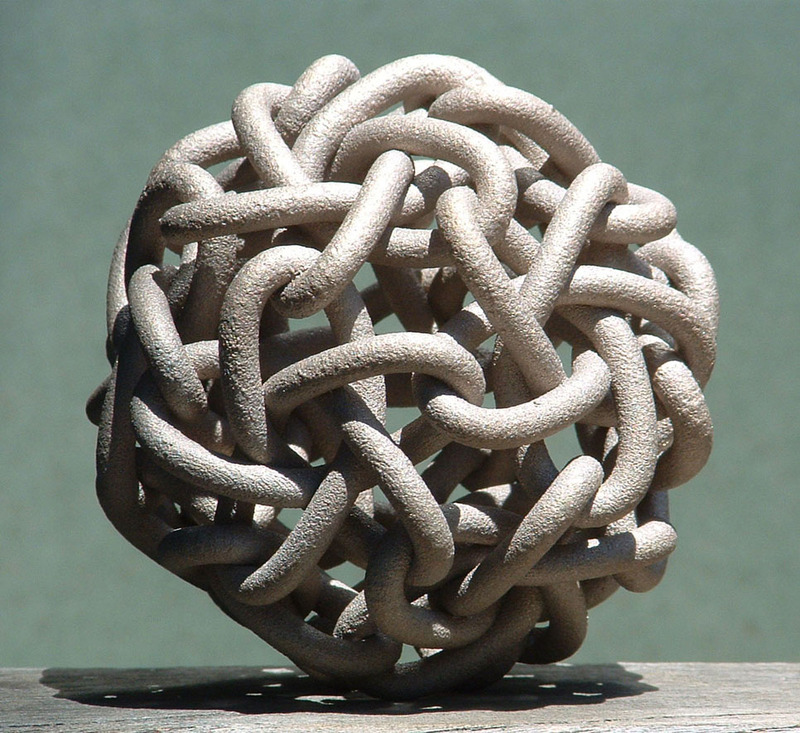 AREAS OF INTEREST: The Gordian Knot; Cut Through The Mess In Your Social Media Life. The Gordian Knot; Cut Through The Mess In Your Social Media Life. The Gordian Knot is the stuff of legend. And to write about it in depth would take up a paragraph (and beyond), so in brief..
That looks complicated, doesn't it? Alexander the great was the one to break it. There just seemed to be no other way to get around (or over) it. That sounds like a pretty drastic piece of action to take, but he had the confidence, the willpower and more importantly the sense of purpose that the action he would take would solve the problem. He didn't think about the damage (potential or otherwise), or any associated cost of doing things this way. He just 'knew' this would work. And in life, sometimes that's the only way to do things. Most intelligent people with a rational mind and balanced point of view, wouldn't want to take any sort of action where they haven't had the time to weigh up the pros and cons sufficiently enough to ascertain the risks versus the gains or losses. However, there are times when hitting the metaphorical (and proverbial) 'delete button' is not only a relief, but easier to do because it forces you to take stock and start again, should you so desire. I did that recently on a social media platform. It was my linked-in profile that became 'cyber-vapour'*, which is why I no longer put it up at the end of each post as a clickable link. Because it had a lot of information on it which was generating some odd responses. For starters, I was getting confusing requests, which wern't correlated to what I wanted workwise. Over time I'd built up a contact list of over 500 people, but the reality was I'd only interacted with 100 or so of them over many years of use. In essence, I'd kept it up there as a super-C.V , which itself is a showcase for your skillset. However, it was a mess. There was lots of qualifications listed ( im grateful and blessed for being able to do those), with different skillsets and work bio info et al all mixed into various types and sections, and the whole thing had multiple focus points to look through. Ultimately, it wasn't getting me a productive return anymore. For me, this was and still is the point of linked-in , which I see as a professional networking and communications portal. So although I've saved the profile in document form on a backup drive, It may be some time before I make another one. The reasons are simply geared around time and energy, with the cost-to-benefit ratio of both being prioritised in other areas right now. But I'll have a fresher look at things in that regard, at some point in the future. So why have I gone into length about this? Simple. If there's a gordian knot in your social media and internet presence, then I hope you have the courage to cut through it. It's not that difficult, and you can always start again on a clean profile ( or page) if you have to. Why not get the sword out and hack through the weeds in your 'net presence right now? Putting it off for too long, will mean less energy and less motivation to do it. If it can be fixed without a 'complete-delete'*, then do that. In fact, the latter option is usually the first option and rightly so. Of course, some of you will have that perfect set of social media presences, so you don't need to do a thing (at least not right now). I bow graciously to all of you for keeping on top of it so proficiently. Speaking of change, it looks like we're getting some consistently sunnier and warmer weather in my area. It's time to check on the state of the garden. From the looks of things, that could do with a major overhaul, too. * (c) S R DHAIN, 2016. Failing, In Order To Succeed Ahead.